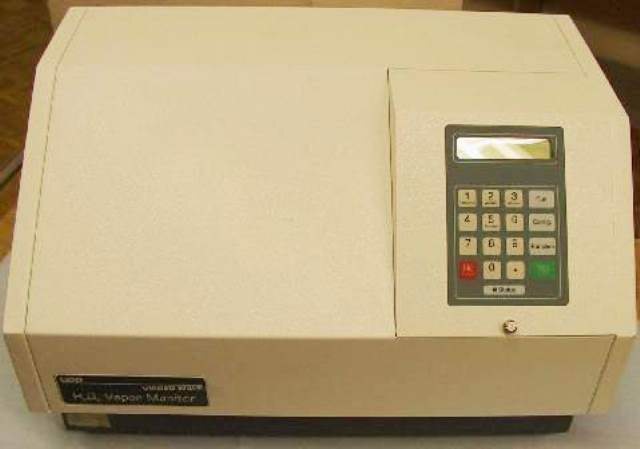 Table top HPVM is spectrophotometric near infrared (NIR) monitor for Hydrogen peroxide (H2O2) vapor, for sterilization applications. Single point fiber optic based remote online continuous real-time sensing. Head not included. Typical precision: H2O2 Vapor 0.1-10 mg/L with ±0.1mg/L error or H2O2 Vapor 1-50 mg/L with ±0.2 mg/L error.